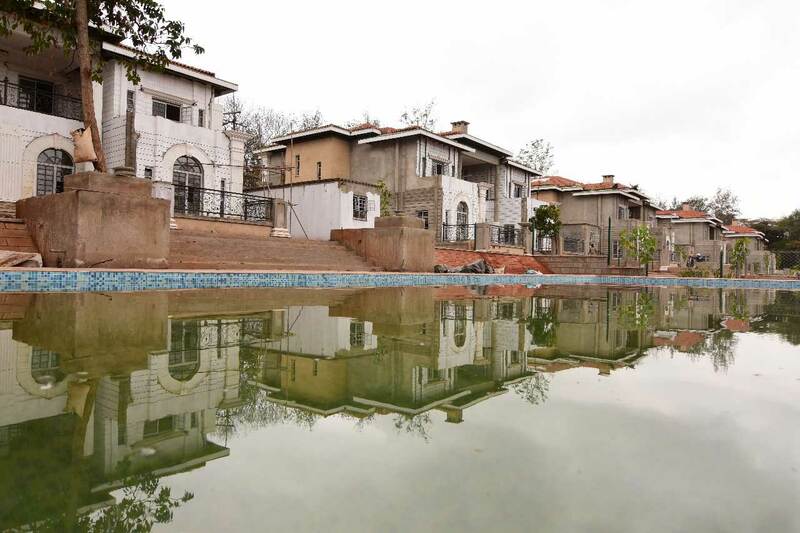 When we broke ground at the Amara Ridge in September 2015, we set out to deliver an innovative landmark of the most distinct and luxurious villas in Karen. 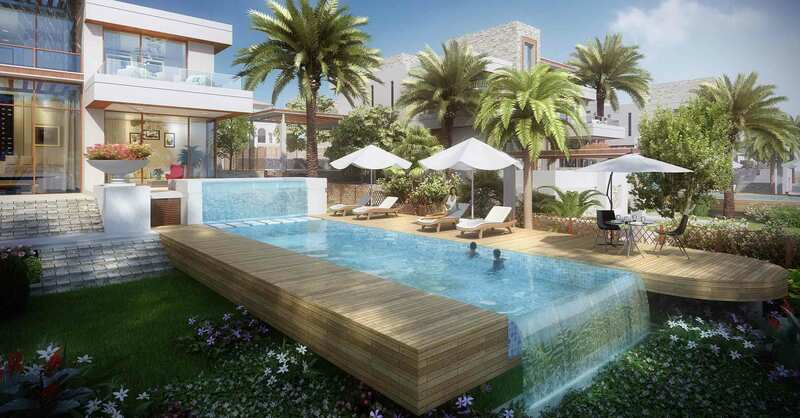 We realize that vision as we hand over the contemporary villas and also showcase the ready show house to our clients. The only impossible journey is the one you never begin. 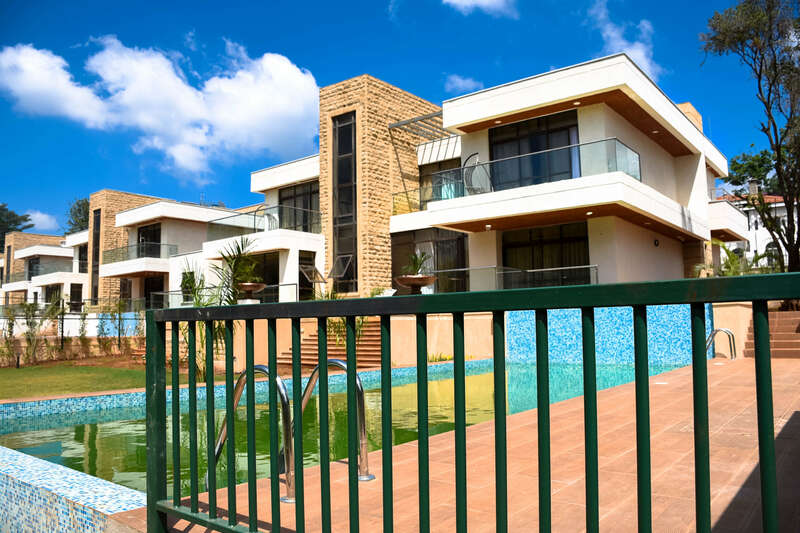 Amara Ridge is a breathtaking, distinct and luxurious innovation at the heart of Karen in Nairobi, featuring Classical & Contemporary designs. Currently, the project is 100% sold out. 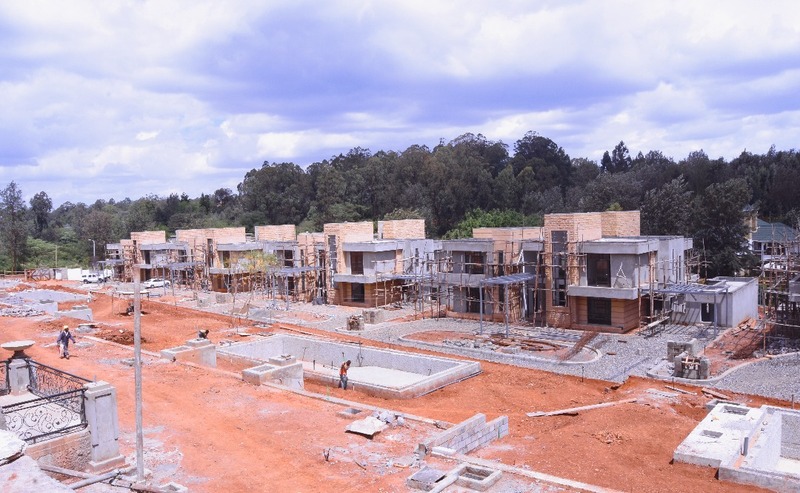 Cytonn Real Estate’s project, the Amara Ridge, which is located in Karen opposite Bomas of Kenya, is 100% sold, 5 months before its targeted completion date. The Amara Ridge, which sits on 5 acres, is an exclusive and luxurious private gated community consists of 10 villas with impeccable finishing and a club house that offers the perfect recreational setting. 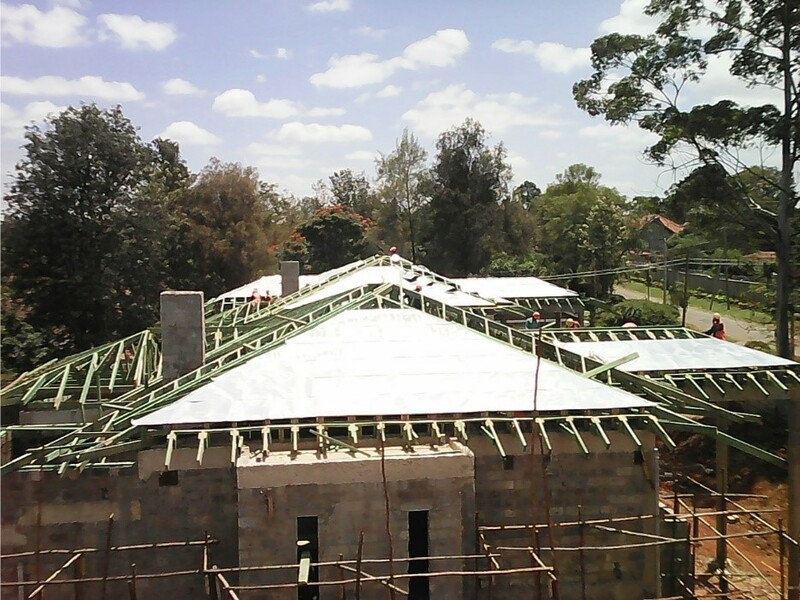 House 1& 2, Roof underlay on progress. House 3, 4 & 5, Roof carcass on progress. Houses No 7 External plaster to beams & balconies on progress at 1st floor and roof level. Houses No 8, 9& 10, Yellow stone walling and cladding on progress. Club house, setting out done. 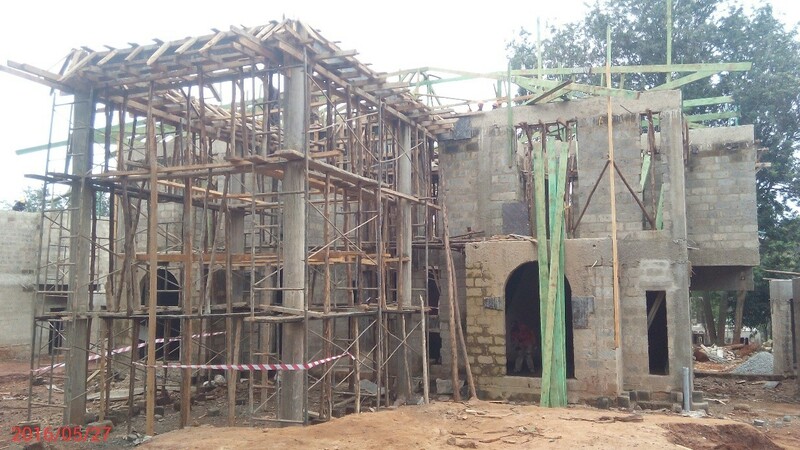 House N0 1 – 5, Casting of roof slabs and ring beam done. House No 6, Ground floor walling& Columns done. Houses No 7& 8, 1st floor walling on done. Houses No 9& 10, Ground floor walling& Columns done. 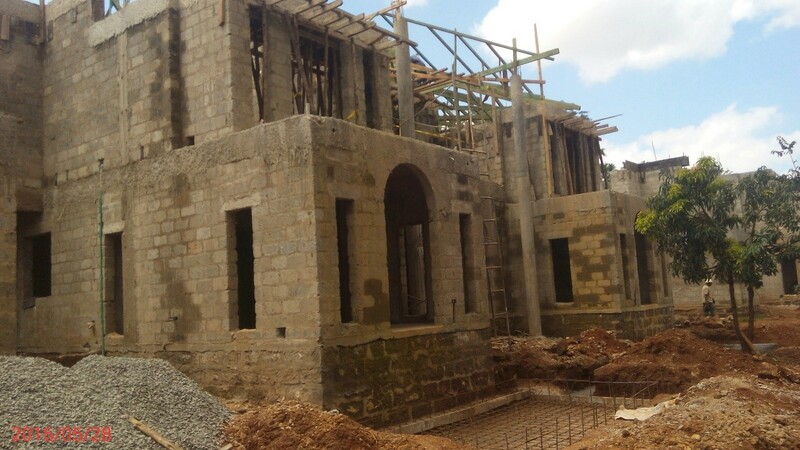 House N0 1, 1st Floor walling & Columns done. House No 2, Sample door (at dinning) and window (at guest bedroom) done . House No 3, Ring beam and roof slab casting done. 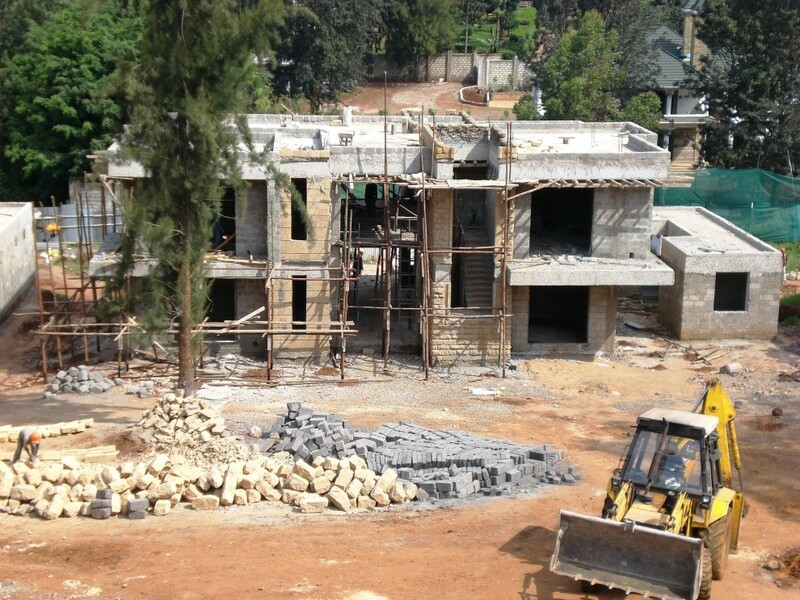 Houses No 4 & 5, 1st Floor walling & Columns done. House No 6, Ground floor walling& Columns done. 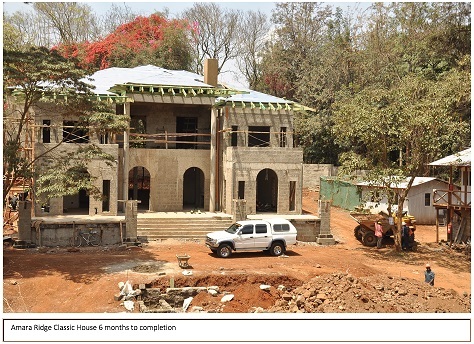 House No 7, Ground floor walling& Columns done. House No 8, Ground floor walling& Columns done. House No 9, Ground floor walling& Columns done. Houses N0 10, Ground floor walling& Columns done. 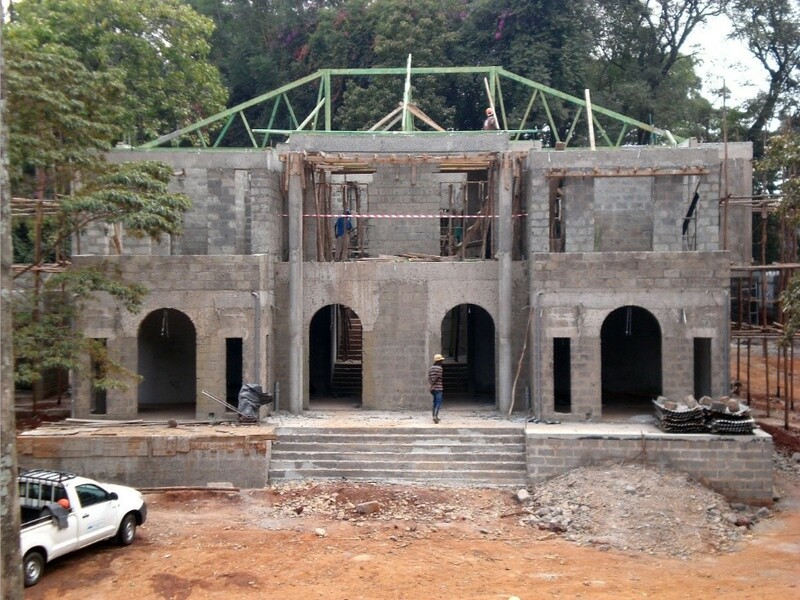 For house one to five, first floor walling and columns are complete. 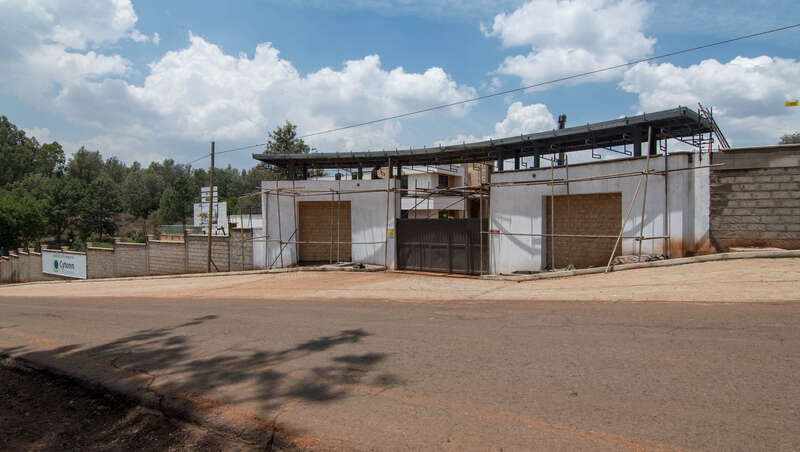 Casting of the porte cochere columns and steel fixing for underground water tanks and terraces are in progress. 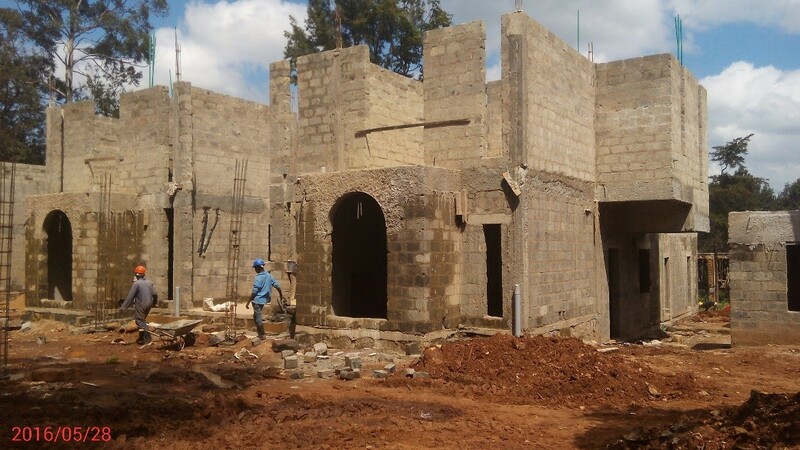 For houses six to ten, work on first floor including slabs and walling are almost done while the first fix of the electrical conduits and plumbing pipes for the ground floor are ongoing. 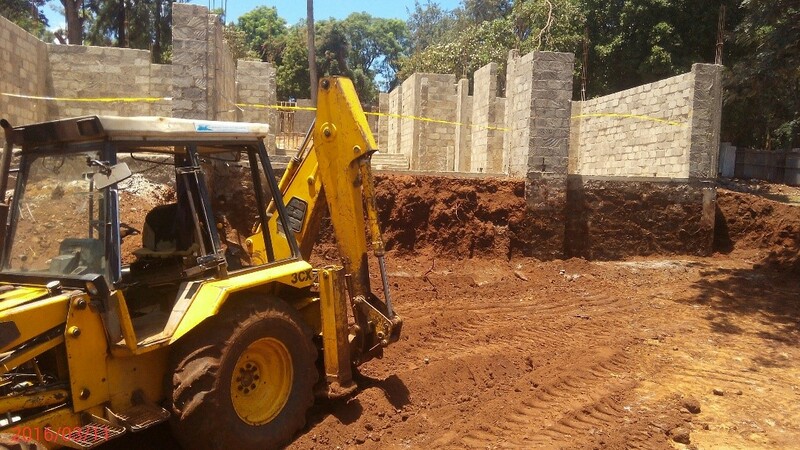 For houses 1 through to 5, first floor walling and columns have been done, the first fix of electrical conduits and plumbing pipes on the first floor is in progress. 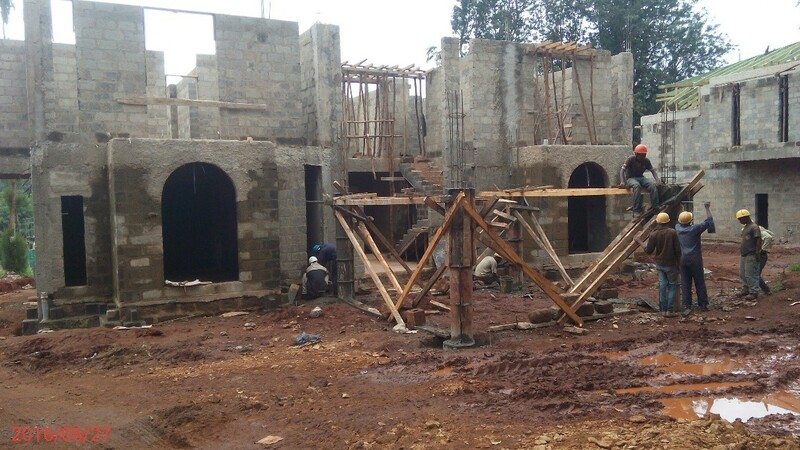 Houses 6 to 9 have the first floor slab casting already done and the first floor walling well in progress. Lastly, house 10 has the ground floor walling and columns already done. 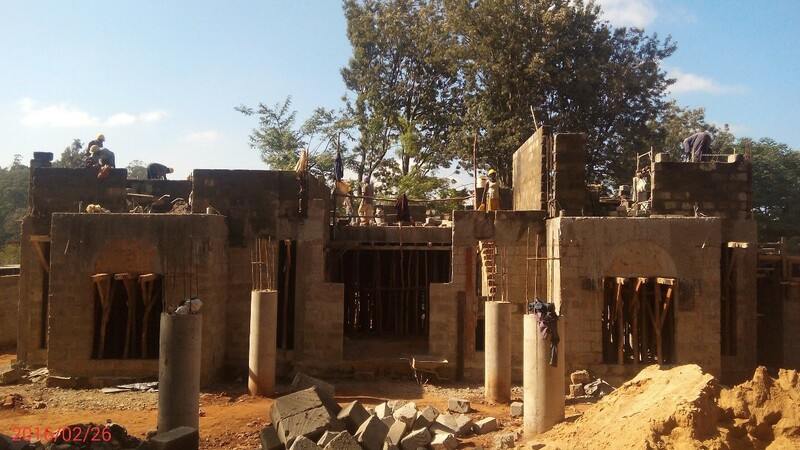 First floor walling and columns have been done for most houses while for some of the houses, the slab is being done. Interior wall plastering is ongoing for some of the houses while the fixing of electrical conduits and plumbing pipes is ongoing for others. In terms of external works, classical houses are all at first floor stage where walling is complete for majority of them. House No. 2 seems to be slightly ahead with the roof setting out having started already. For the contemporary houses, yellow stone walling has begun for all the houses. The classical houses are all concentrating on the first floor with some having the walling complete and the rest having the slab already cast. For the contemporary houses, form work for casting the first floor is ongoing; and yellow stone walling has begun on some of the houses. Ground floor walling is complete for most of the houses. 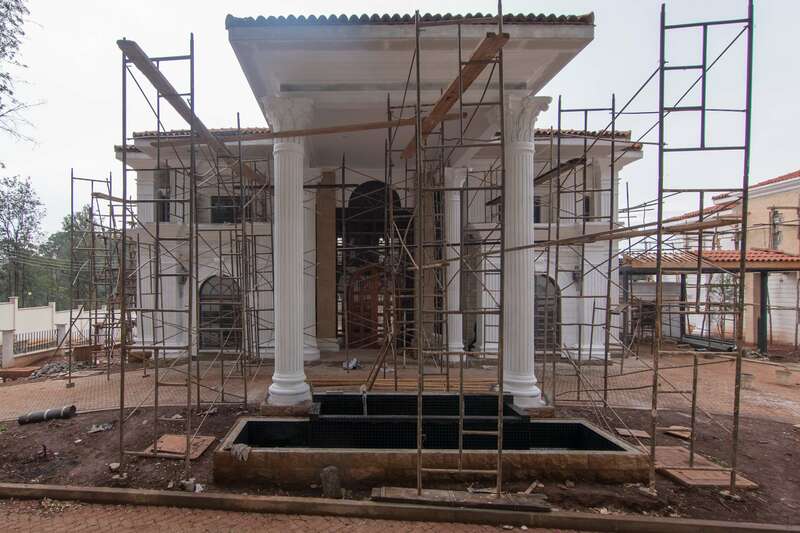 The construction of the classical houses has mostly moved to the first floor while form-work has begun for most of the contemporary houses.